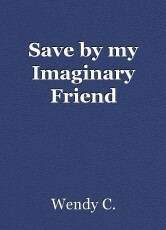 Save by my Imaginary Friend: Chapter 17, book by Wendy C.
Lisa was scared because Kevin had successfully kidnap Emily three time. Jordan, Kyle, Shawn, Richard, Jason, and David are going to do everything they can to protect Emily. It was April, but it was cold and snowing. Lisa wishes this madman would leave Emily alone. So far no one heard or saw Kevin or Paul. Lisa was hoping they left the country. Lisa told Emily about Kevin escape. Emily was upset. “I know you are upset Emily, but you cannot let this man ruin your life. You have to fight for your happiness. Do not think about Kevin and just think about your field trip,” Lisa replied. “Yes, you are right Aunt Lisa I should not let Kevin scared me,” Emily replied. Emily was not going to live in fear of Kevin. Emily was going to fight back and prepared for the next time Kevin try to kidnap her. “Aunt Lisa, I was wondering if I can take some self-defense classes?” Emily asks. “Sure, you can. We will go get you signed up tomorrow,” Lisa replied. Emily’s friends Candy and Kate were taking self-defense classes too. Emily was hoping that Kevin would leave her alone. Emily was looking forward to the field trip. Emily save enough money for the trip and her parents sent her some money. Emily’s parents were not coming to visit since Kevin escape. Emily was disappointed because she misses her parents. Emily did not hate Kevin because he was her father. Emily got to talk to her mom. “Hey Mom, how are you and dad doing?” Emily asks. “We are doing good. Your father is doing a lot better. We are so sorry we cannot come to visit, but Jordan said it will not be safe,” Lucy replied. “It is ok Mom I understand, I just miss you guys. I hope to see you soon,” Emily replied. After Emily finished talking to her mom she finished her homework. The next day Emily saw a woman with red hair. “Hello Emily, my name is Rachel. Your biological mother and I were friends. I am here to help you use your abilities,” Rachel replied. “What abilities?” Emily asks. You have telekinesis the ability to make things move with your mind. You also can make yourself invisible. I will teach you how to use these abilities,” Rachel replied. Emily could not believe that she can make things move with her mind. Rachel was going to teach Emily everything she needed to know on how to use her abilities so she can protect herself against Kevin. Emily also found that Candy and Kate have abilities too. Jason was also going train them to use their abilities. Emily was happy because she felt safer now. Emily went to visit her friends. “What abilities do you guys have?” Emily asked Candy and Kate. “I have pyrokinesis,” Candy replied. “I have the same abilities you do Emily,” Kate replied. “Detective Anderson give me this star ring,” Emily replied. “Yes, Detective Anderson gives us star rings too,” Candy and Kate replied. I am not that scared of Kevin anymore,” Kate replied. “I am scared of Kevin. I heard he can turn into a monster,” Candy replied “Do not worried Candy once we learn to use our abilities we will have a better chance to protect ourselves from Kevin,” Emily replied. I hope you are right. I heard that Casey the girl that was kidnap try shoot your dad when he was the monster, but the bullies did not hurt him,” Candy replied. “We do not need to worry about Kevin because we are going to have bodyguards watching us,” Emily replied. “I know we are going to be safe, but I am still worried,” Candy replied. “I know and I worry too. We cannot live in fear. I am sure the police will catch Kevin really soon,” Emily replied. When the driver was taking Emily home she saw Kevin as Dennis. Dennis was giving her an evil look. Emily runs inside the house and told her aunt. The bodyguards and the police were looking for Kevin, but there was no sign of him. The police were going to watch the neighborhood. “I do not know why this man will not leave Emily alone?” Lisa asks. “We are going to do everything in our power to catch this guy, so do not worry,” Jason replied. Who Says Murder Isn't Easy? Horror Entry for 'Finish With a Scream'.